The advent of Computers lessened the need for human intervention in almost all aspects of our daily lives. This is especially true in the industrial sector now that production is virtually automated. Computer Numerical Control (CNC) has been able to help companies in terms of precision. With the need for more complex designs and more complex operations, human workers could not cope with the required precision that comes with advancement. CNC machines were able to alter that idea by allowing increased precision and lesser error ratios with regards to production. Another important improvement that CNC has brought with it is the increased accuracy. The dimensions of components have to be very accurate. And since an increase in production speed also increases the error ratio, CNC has helped lower that ratio by the increased level of automation and the error detection capabilities that computers have. In the industrial sector, speed is of the essence. With CNC technology, the normal production capacity has been increased exponentially. This means that effective and accurate production methods have been developed. Mass production requires more scrutiny for errors and mistakes. However, anomalies can also be corrected. The programming structures of CNC machines can be altered in a fast way. This means that mistakes do not have as serious an impact as they had before CNC was improved to this level. 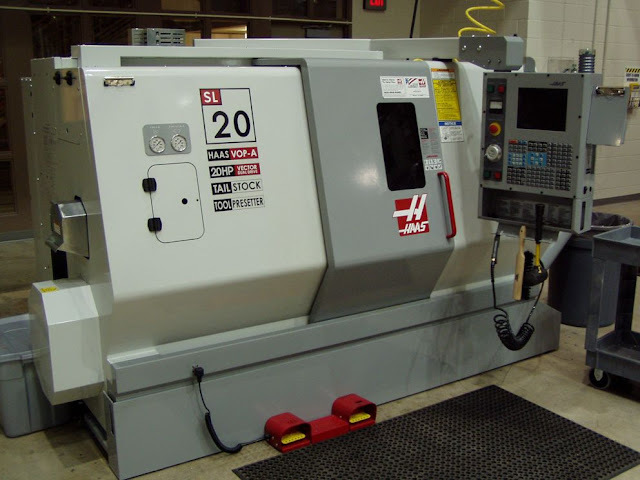 CNC machines have become very versatile with regards to the tools that they use. They can easily be assigned to different tasks and thus can be very productive. Tools and networks can be switched without compromising the speed of the production. Aside from this, one machine can do more than one task at a time. This exceeds the normal human capacities as it allows more tasks to be accomplished at a faster rate than before. Furthermore, when one machine tool breaks down, it can easily be pulled off the grid to prevent it from affecting the whole production cycle. It can then be replaced or repaired on the spot. Since component production is a very tedious and repetitive operation, human error skyrockets as time passes. This is due to fatigue and other factors. Furthermore, the ability of a person degrades due to psychological and emotional factors. This means that if a person works on the same job for a certain amount of time, the person may eventually get bored or tired or both. This increases the possibility for the human to commit an error and thus causes a drop in the efficiency rating of that person. A machine, however, does not get tired or bored. A machine does not have any concern at all. Therefore, a machine increases efficiency ratings by speeding up production and eliminating or reducing factors that threaten efficiency. In this case, one must simply program the machine to start a cycle. Furthermore, humans have to be fed, paid, and rested. Machines only have to be rested when failures occur to often and they do not need to be paid or fed. This brings us to the conclusion that companies will be able to save a lot in the long run. While investing in CNC machines is not cheap, maintenance will only cost a fraction of what will be paid to manual laborers. Do you know of any CNC mills in the country? Which country in particular are you talking about?